Tall trees abound within the township of Eaglehawk Neck. 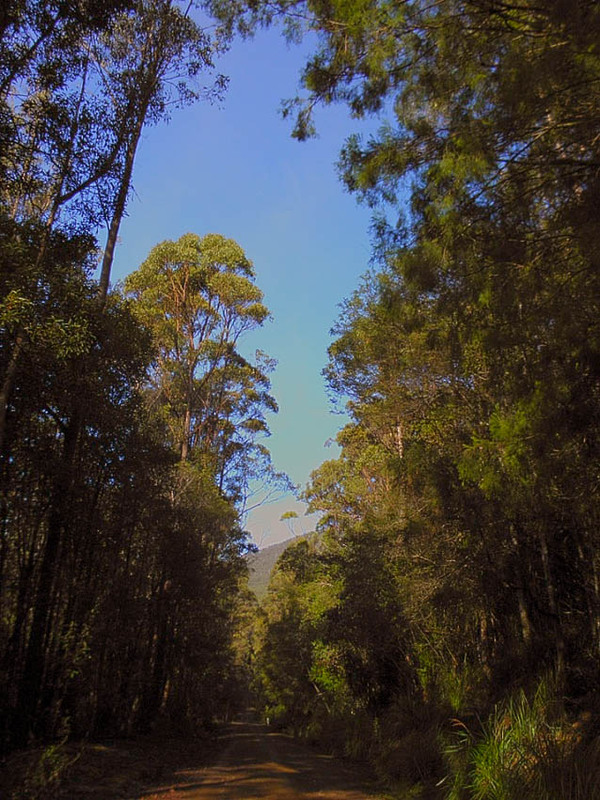 Cruise along any road and you will find majestic tall eucalypts interspersed with blackwoods, myrtles and many other native Tasmanian species; usually growing quite close to the road. Of course, the best are within the Tasman National Park; accessible by motor vehicle along Waterfall Bay Road. The road runs off Blowhole Road to the right about 100 metres before the Havnabite convenience store (a small sign marking the road is soon to be made more prominent). It’s a gravel road so some care is needed, but the scenery is well worth the adventure. Photo: Arthur Orchard – tree-lined road through Tasman National Park – Waterfall Bay Rd. At the end of the road (about 7 kilometres) is the Waterfall Bay Lookout, offering magnificent views over the Bay and the Hippolyte Rock in the distance. There are plans to close the road when redevelopment of the Tasman’s Arch and Devil’s Kitchen Precinct is completed in a few years time. The local community wants the road to remain open to traffic, so that the aged, disabled and young children are not denied access to this wonderful scenery. Visitors can assist by ‘Liking’ their experience, send us your Comments or sign the e-Petition below.